Summary: Is a fellowship supper, fellowship? Is a night out with the Christian guys at a ball game, fellowship? 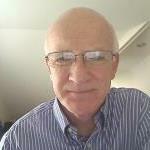 Just what is "Koinonia" in the Scriptures? 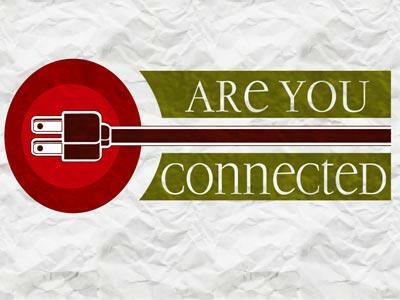 Are you in fellowship? The word, a Greek word, is even popular among English-speaking Christians: Koinonia. Partnership. Participation. Translated communication, communion, distribution, fellowship. It is used by Luke, Paul, and John, in 8 Bible books. Have we fully understood and implemented the meaning of this concept? I mean, really, what is a “fellowship dinner?” What is a “communion service”? Since both words – fellowship and communion - come from the same Greek word, they must be related somehow. Is it proper to say, “I’m taking communion,”? What does it mean to be “out of fellowship”? Or, “Let’s get together at my house for some fellowship”? Acts 2:42 is the best place to begin, I think. But for sure we run into trouble right away in trying to determine the Biblical usage of koinonia. First we need to understand that there are many words which we use in life, that in themselves are neutral. Like “religion” and “weather” etc. Put an adjective in front of those words if you want people to know what you mean. I believe koinonia, whether in Greek or in English, is one of those words. “Participation” is a generic concept. “Partnership” can be used in many ways. We need to see, in what people are being called upon to participate, before we know the model that is there for us. Which is it? This old English teacher wants to apply English rules about “ownership” or “genitive” to the Greek language. And his small knowledge of Greek tells him that the words “breaking” and “bread” do not have endings that demand an ownership context. That is, there seems to be no evidence in the Greek that “fellowship” is in any way bound to “breaking of bread.” Four separate items here are listed, in my opinion. Sounds like someone was interpreting as they translated… never a good idea when dealing with the Holy Words of God Himself. Tell us what He said, not what you think about what He said. So let’s go with the list of four. These are the four things that the early church considered non-negotiables. Things they had to do. Steadfastly. • Apostles doctrine. The very teachings of the apostles of Jesus. Essentially, that teaching was passed down to us in the form of the New Testament, and we assume that these good Jewish men passed on those portions of the heritage of Moses, the Israelite history, the prophecies, the songs, the wisdom, or what we commonly call the Old Testament. All of this together we call, the Bible. • Fellowship. Koinonia. Not explained exactly here. We’ll talk about it in other Bible passages. • Breaking of bread. A common phrase for a common meal. They ate together. And we are assured that they kept that very special meal, instituted by their Lord, that we call “The Lord’s” supper, the bread and the fruit of the vine. Jesus had left no specifics on how often this latter meal was to be kept, but it seems that the early church honored His wishes much more often than the evangelical church of our day, where occurrences can be as separated as far away as an entire year! For others it is monthly. For some it is weekly. Someday I may do more sharing on this topic, and the wild extremes to which the church goes in this celebration, but for now we simply say that the “breaking of bread” most certainly included both “normal” eating and supra-normal eating. These folks loved each other and wanted to share their lives in every way possible. • Prayers. They brought their requests to God. They worshiped and praised the risen Christ. They interceded. They prayed in the natural and in the Spirit. They prayed together and individually. They would not have considered moving on without prayer. It is likely that prayer, as the Lord’s Supper, also played a much larger role in the life of the church of the first century than that of today. Hence its growth. It is probable that there were fewer meetings called specifically “prayer meetings” and more lengthy “church services”, as we call them, that included large portions of time for just praying. I’ve seen only one church in my experiences in the church world, that practices this sort of thing. Is a fellowship supper, fellowship? Is a night out with the Christian guys at a ball game, fellowship? Just what is "Koinonia" in the Scriptures? 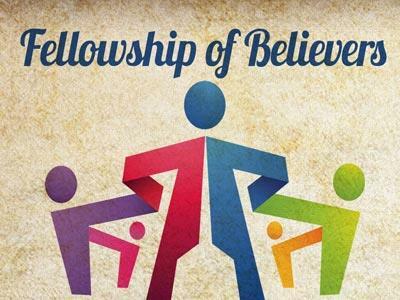 Are you in fellowship?